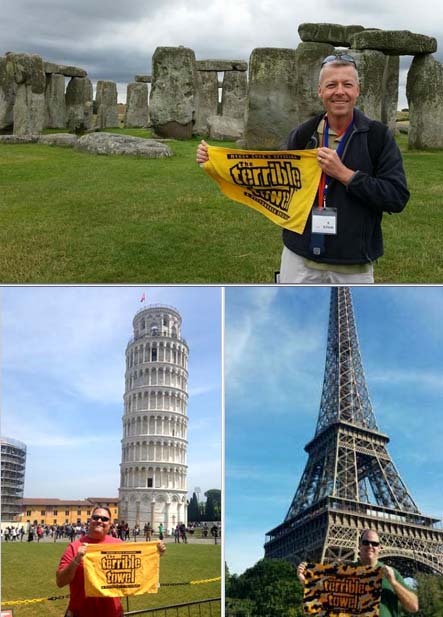 That’s Al Stiehler showing his true colors at Stonehenge on the top; Pete Perdaems keeping his Terrible Towel upright at the Leaning Tower of Pisa; and Frank Semple going camo style at the Eiffel Tower in Paris. 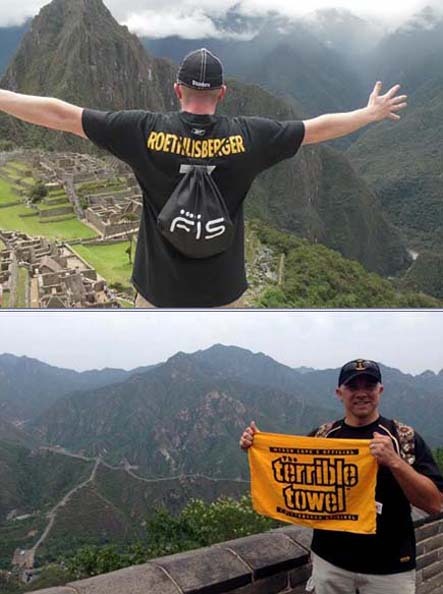 Ohio Steelers fan Steve Hakin above, in his #7 jersey, poses against the backdrop of Machu Picchu in Peru; and Tom Obenrader showing off his Terrible Towel at the Great Wall of China. 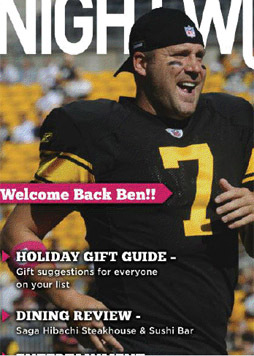 Tom and his wife were in China to adopt a daughter, who already had a Steelers jersey waiting for her! If it’s possible, P.J. 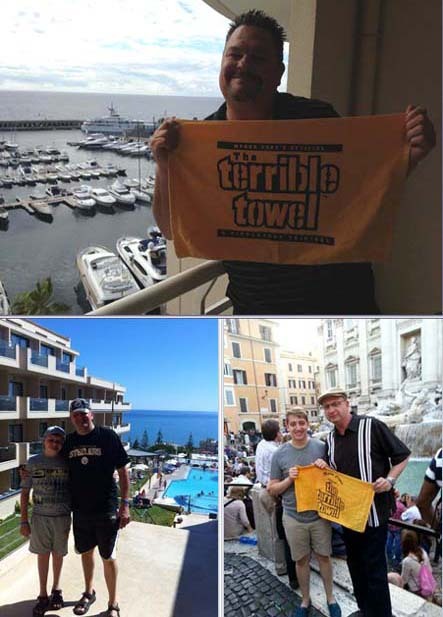 “Pete” Perdaems makes Monte Carlo a little more colorful with his Black & Gold; Steelers UK fan Peter Minghella stops to pose “in my colours in Crete” with his son Ethan; and Mike Thoma and his son Chris posing at the Trevi Fountain in Rome. 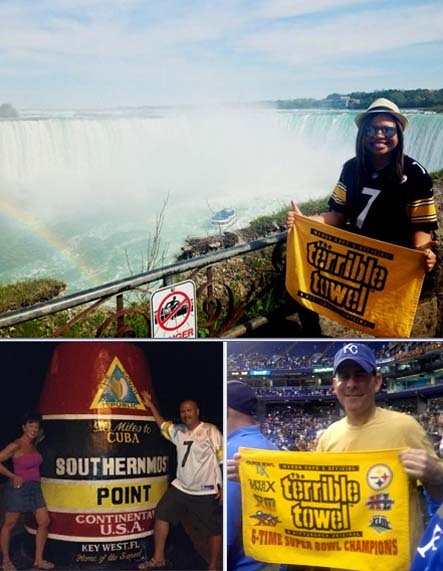 Jasmine Burt, a Terrible Towel and a rainbow at Niagara Falls in Canada; Closer to home – Bob & Missy Tschappat in Key West where Bob says if they go away, Ben’s “Away Jersey” goes too; and that’s Rob Thaler taking in a summer baseball game in Kansas City (Rays vs Royals) but still reppin’ the Black & Gold in the stands! You can see more photos of our summer vacationers here (3 pages)! 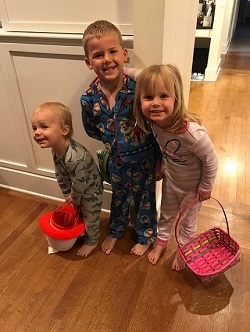 We also have photos of some adorable Lil’ Fans to share too! As always, thank you to everyone who shared their photos with us! 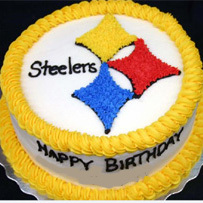 These were great! ← Honoring our four-legged protectors!